This lady needs help, if only her people can locate a Pastor with the required anointing to deliver her, rather than take her to 'traditional healers' and whatever is doing her will return after a short period of respite. Nigerian actress, Yetunde Akilapa, has again been arrested for trying to gain unlawful access into a house in Magodo Shangisha, Lagos. She was arrested yesterday with a bunch of master keys, while trying them on the door of a house in Magodo, not knowing that one of the occupants was around. 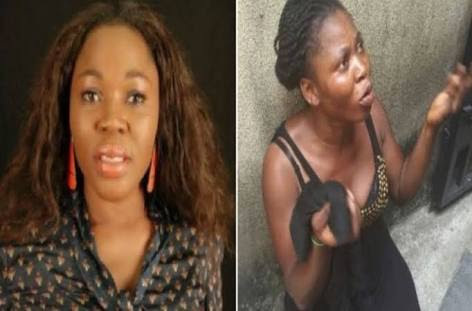 This is coming 3 years after she was arrested while breaking into a beauty lounge with a master key, after closing hours in Yaba, where she worked and four years after she was beaten for a similar offence.